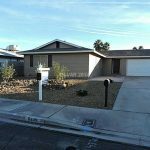 Beautiful completely remodeled home with spacious living room, dining room and kitchen. Large family room/game room. Kitchen has granite counters new stainless steel appliances and stainless steel sink. LED lighting throughout the home. Master suite is separate from other bedrooms for a great retreat. The back yard is a canvas waiting for your touch. Large enough for a pool, spa,or what ever you desire. Close to shopping. No HOA! This one won't last. 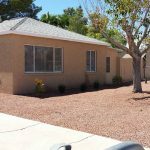 Beautiful renovated vintage Las Vegas home in quiet neighborhood near shopping and Springs Preserve. All new appliances, flooring, plumbing and lighting. New bath tub/shower combination with new tile surround. Freshly Painted inside and newly stucco on outside. 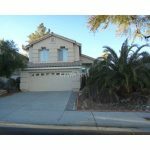 Very large back yard (72x40) with fruit trees and cool breeze for those warm Vegas nights or a pool/spa. Minutes to downtown and the strip. 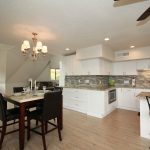 This beautiful home is just minutes away from downtown and is completely renovated. It features laminate floors, tile and Carpet. 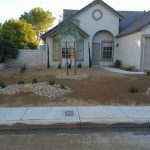 Granite counter tops throughout the home upgraded electrical system and a covered patio to enjoy the beautiful bak yard from. Hurry this one won't last. 1958 Flagstone Ranch - This beautiful 2 story home has an added loft. Two car garage. Balcony off master bedroom. Built-in cabinets in garage. 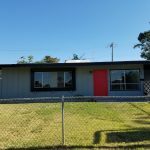 Great home with lots of space for a growing family! Master bathroom has a double vanity and walk-in shower.